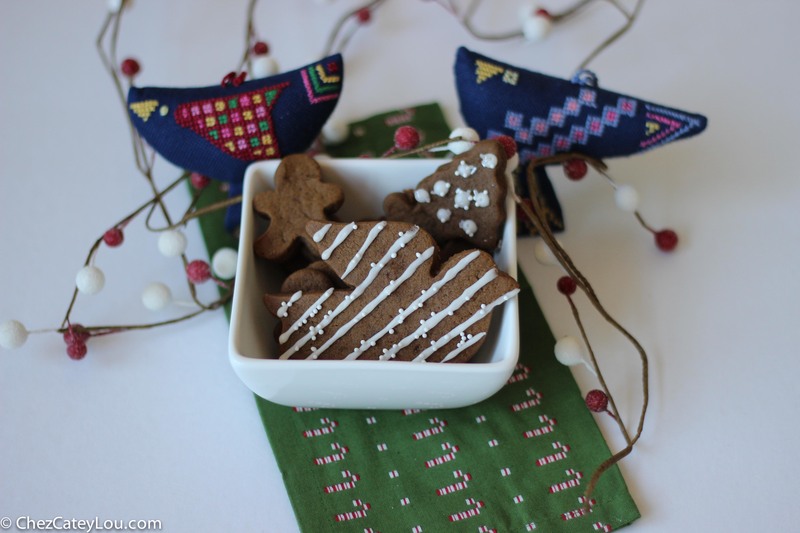 This recipe for soft and chewy gingerbread cookies is a Christmas staple in my house! You can decorate them with a simple icing and sprinkles, or keep them plain! 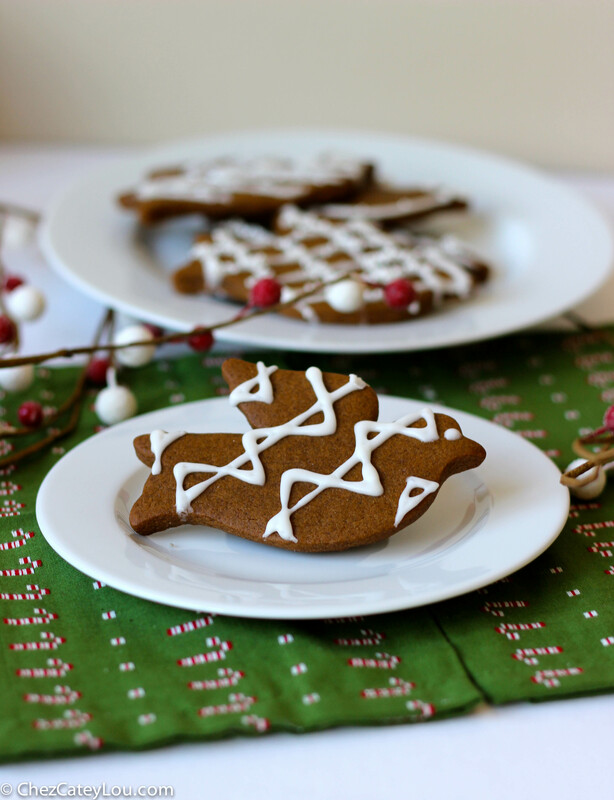 This recipe is for soft and chewy gingerbread cookies, which happens to be my favorite texture in any kind of cookie. Cut-out cookies are a lot of work, especially when you ice them, but it really is a lot of fun and is something that I like to do at least once each Christmas season. 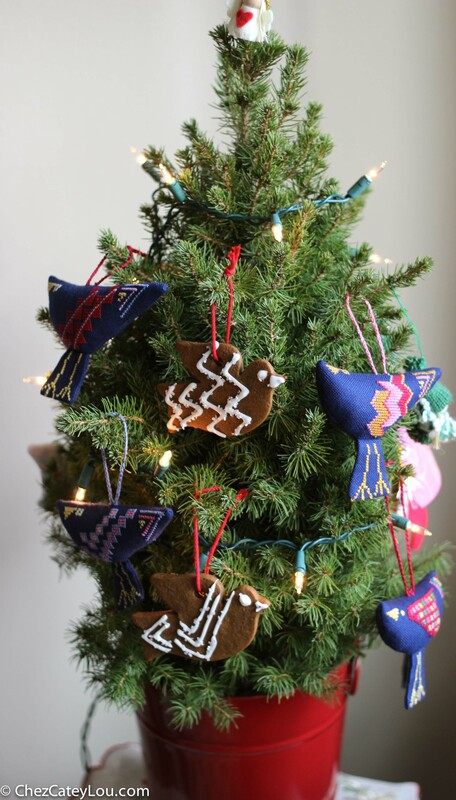 The Birds of Peace ornaments are hand stitched by Palestinian women using traditional embroidery techniques. I decorated my cookies to look similar to the ornaments! Ok perhaps my icing skills are not quite as strong as the embroidery skills of the Palestinian women, but I think they look pretty cute. I decided to ice these cookies with a basic icing made from powdered sugar, cream, and corn syrup. Royal Icing will set up better, but I am scared to use raw egg whites! Maybe next year….anyone have a good recipe to share? Now living in a small apartment in NYC, we don’t have room for a big Christmas tree. But almost every year, my sweet mom sends us a little tree, and it is just perfect for our space! TheBetterHalf and I spent the other night baking gingerbread cookies, listening to Christmas music on Songza, and decorating our little tree. It was so much fun! 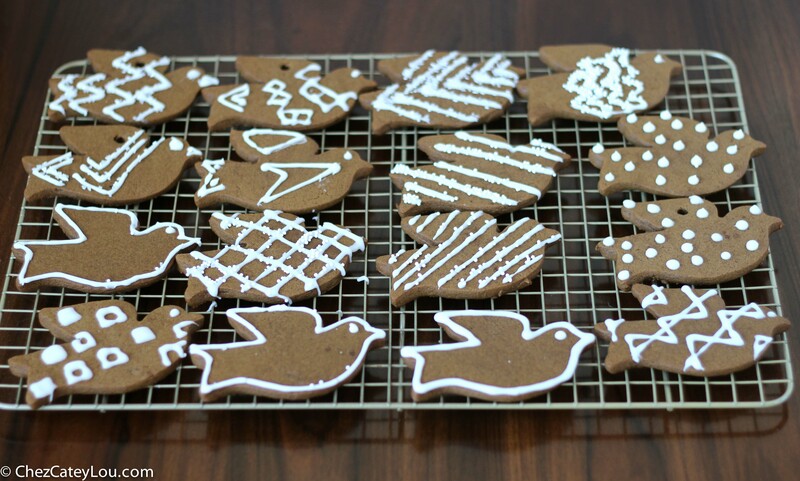 Don’t the Birds of Peace ornaments look so cute on there next to the cookies? 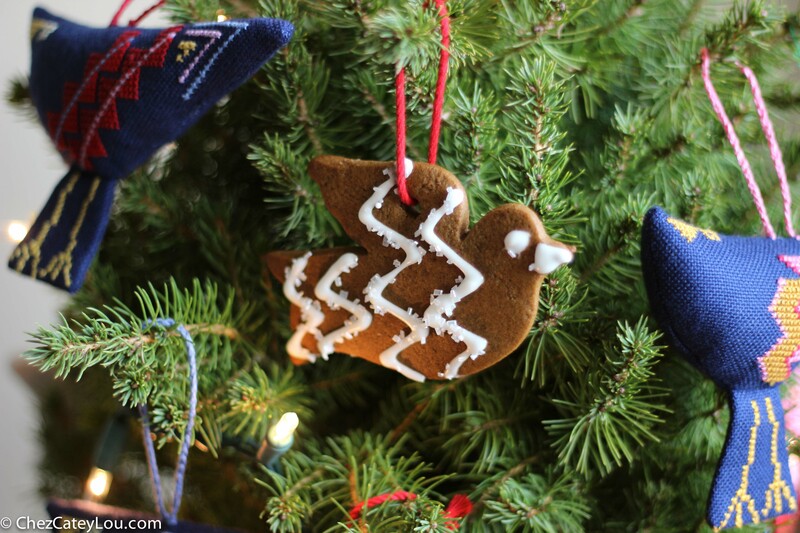 The bird ornaments are a symbol of peace and hope – what a perfect thing to focus on this time of year. They would make a great present for anyone on your list. Head over to stfank.com and check them out. They are offering free shipping in time for Christmas if you place your order by tomorrow! Wishing all of you peace, love and cookies this Christmas season! In the bowl of a stand mixer fitted with the paddle attachment, mix together flour, brown sugar, cinnamon, ginger, cloves, salt, and baking soda at low speed until combined, about 30 seconds. Stop the mixer, add butter pieces, and then mix at medium-low speed until the mixture is sandy and resembles fine meal, about 1 ½ minutes. Reduce speed to low and slowly add the molasses and milk. Once all the milk and molasses is added, increase the speed to medium and mix until thoroughly combined, about 20 seconds. Turn the dough out onto a work surface (I like to use a silpat). Divide the dough in half and place each half on a large sheet of parchment paper. Cover with another sheet of parchment paper and roll the dough ¼-inch thick. Freeze the dough on cookie sheets 15 - 20 minutes, until firm, or refrigerate the dough about 2 hours or overnight. Preheat oven to 350 degrees F. Line a cookie sheet with parchment paper or a silpat. 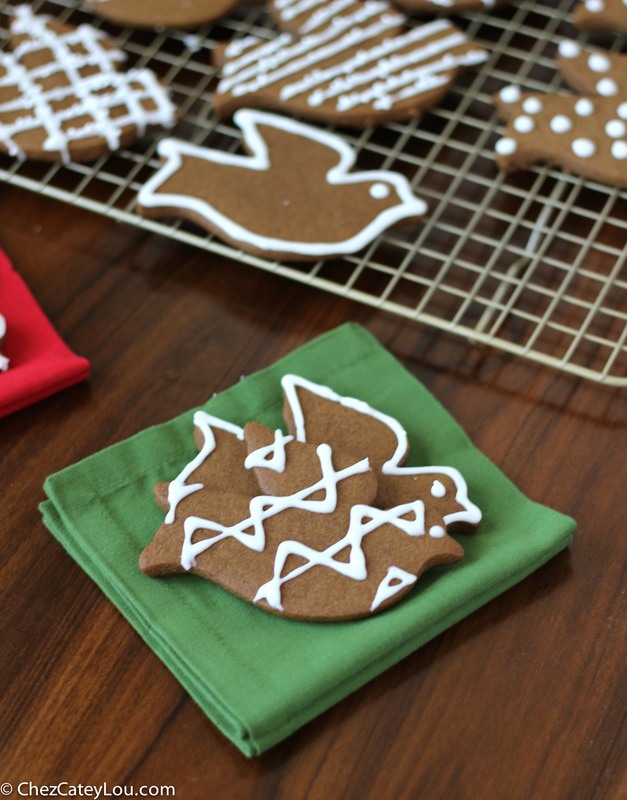 Using cookie cutters, cut the cold dough into shapes and transfer to the cookie sheet using a metal spatula, spacing the cookies ¾ inches apart. Bake for 8 - 11 minutes. Cool for a few minutes, then transfer the cookies to a rack. Re-roll the scraps and repeat. In a medium bowl, whisk together powdered sugar, cream and corn syrup. Continue to whisk until icing is smooth. Add more cream until desired consistency is reached. To ice the cookies, pour the icing into a candy decorating bottle and ice as desired. You can also pour the icing into a ziplock bag and cut off the corner. 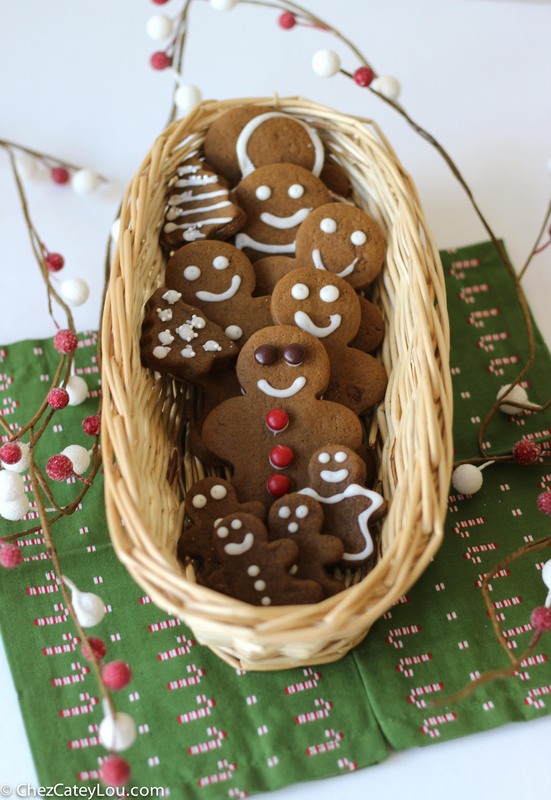 Oh, your gingerbread men are SO cute! 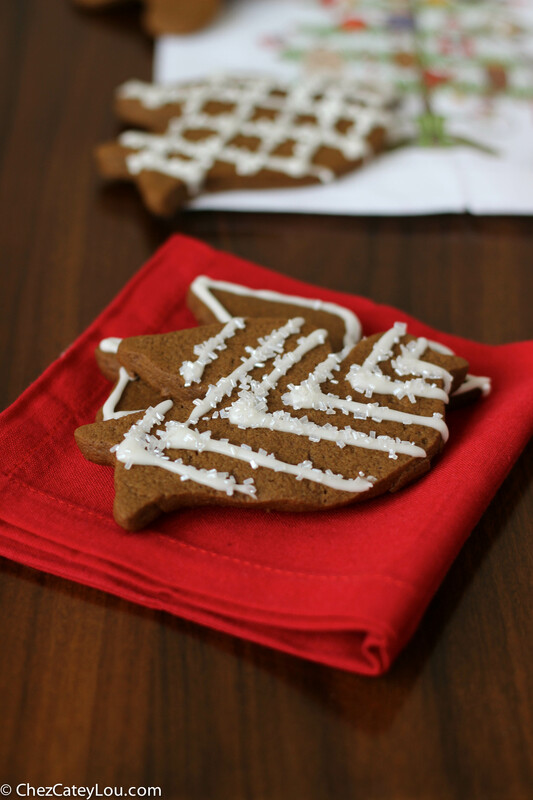 We’ve never strung and decorated with them, but we have inhaled pounds of gingerbread over the years! I’ve not found the “perfect” recipe, so I’ll have to give these a try next time. The cookies look so good! I’m going to make these with my nephew later this week! Pinning! Thank you so much, and thanks for pinning! 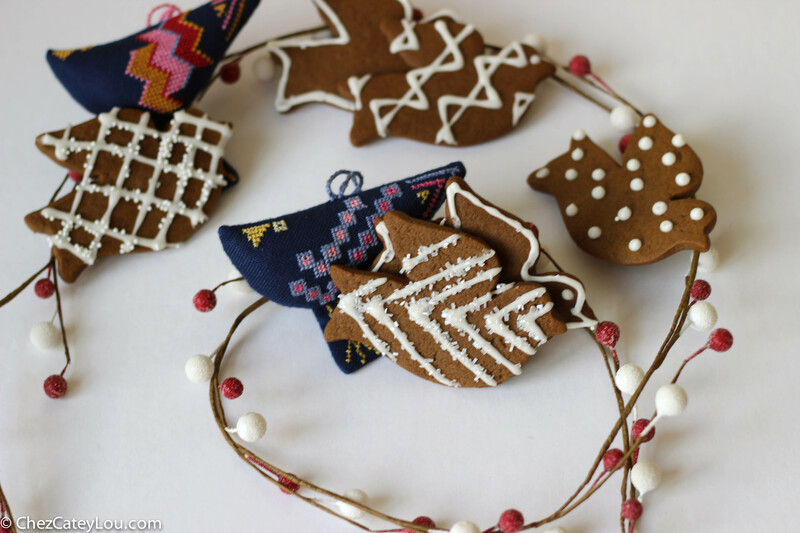 What gorgeous ornaments and cookies! I know what you mean about cut-out cookies being a lot of work, but it would be so worth it if they turned out as great as yours. Cate! These are gorgeous! I would love for you to come to my house and do all of my holiday baking! 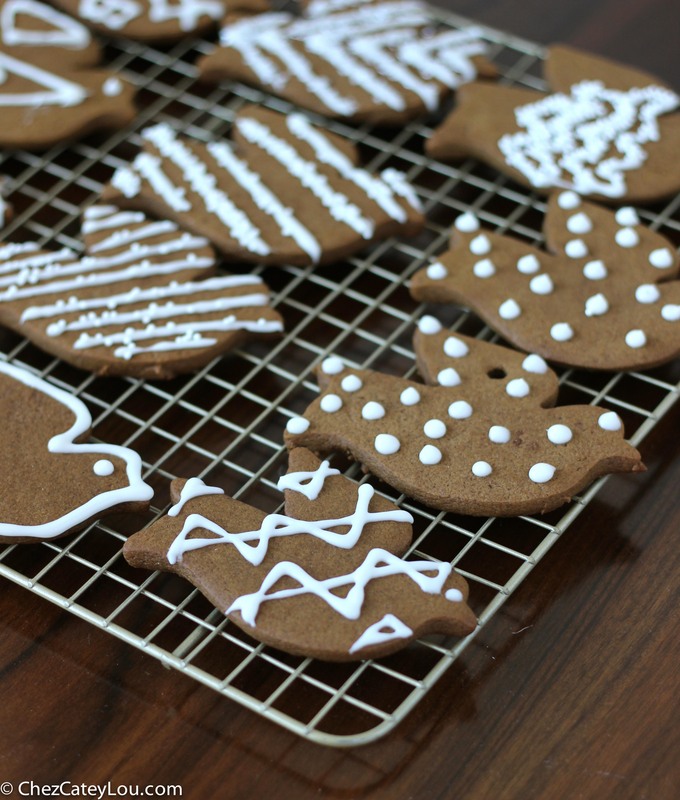 Cate your gingerbread men and birds are so beautiful!! I’ve never made ornaments out of my cookies before but they are so perfect and go so well with your tree. I’m in the holiday spirit after reading your post and all merry!!! You decorated these so cute! I absolutely love them! 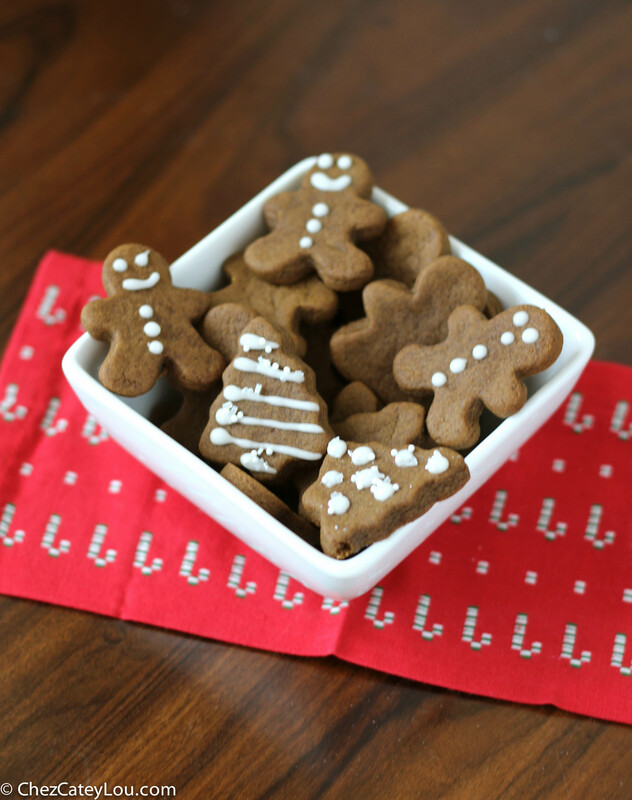 The cookies are so cute–perfect for the holidays!